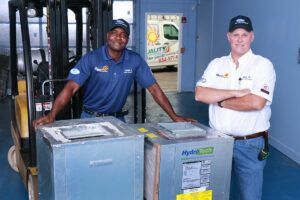 You have identified the ideal resource if you are looking for an air conditioning service in Boynton Beach, Coconut Creek, Coral Springs, Sunrise, Deerfield Beach, Delray Beach, Margate, or Plantation, Florida. Our company was founded all the way back in 1971, and we have been building our business ever since then on a firm commitment to excellence on every level. In addition to these communities, we also provide air conditioning services in Fort Lauderdale, Boca Raton, and Pompano Beach. We have the ability to repair all different types of air conditioning systems. Our Deerfield Beach-Delray Beach-Boca Raton air conditioning service technicians can handle residential repair assignments, and we also serve members of the business community. If you have an emergency, we will provide you with a rapid response, and we get the job done right the first time, every time. Far too many people do not understand the fact that an air conditioning system must be maintained just like any other machine. 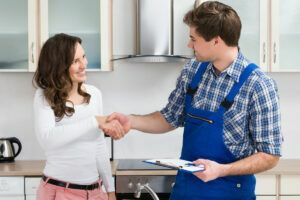 We offer air conditioning service and maintenance agreements, and a relatively small investment in one of these programs can save you a great deal of money in the long run. When the proper maintenance is performed, small adjustments can prevent large, costly problems. Plus, your energy bills will stay low if your system is always running at peak efficiency. If a system can be fixed, you can rest assured that our Pompano Beach-Coral Springs-Plantation air conditioning service technicians will get it running smoothly once again. However, in some cases, a new air conditioning installation is the only solution. 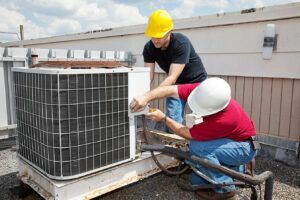 This is another area of expertise for our company, and once again, we install air conditioners for local homeowners and all different types of businesses. There are many energy efficient options available, and our systems come with strong manufacturer warranties. Contact the Premier Boca Raton and Delray Beach Air Conditioning Service! When you need an air conditioning service in Boca Raton, Delray Beach, Margate, Boynton Beach, Plantation, or any other city we serve in Broward County or south Palm Beach County, we will be here to help. You can get in touch with us by phone at 954-971-1000 or 954-830-7828, and our toll-free number is 800-649-5415. If you would prefer to send us a message through the Internet, there is a convenient contact form on this website.